Your boots always leave you feeling just somewhat satisfied. Maybe they’re waterproof, but not so comfortable. Or it could be that they keep your feet feeling great, but don’t provide sufficient safety features. We’ve got a boot style that’s got it all. Tim ... (see full details) (see specifications) #TMBTB047591214. Your boots always leave you feeling just somewhat satisfied. Maybe they’re waterproof, but not so comfortable. Or it could be that they keep your feet feeling great, but don’t provide sufficient safety features. We’ve got a boot style that’s got it all. Timberland PRO Endurance PR 47591 Brown Waterproof Steel Toe Boots pack complete satisfaction into every step you take. First, this workwear deliver the waterproof protection you need for outdoor work on rainy days or sloshy work sites. They are crafted with smooth brown waterproof full-grain leather and also include a waterproof membrane for even more protection. Second, these 6-Inch steel toe boots provide supreme comfort. The mesh lining is made with moisture-wicking and bacteria-busting Agion. This antimicrobial protective layer keeps your feet comfortable and dry. The PowerFit comfort system features a contoured insole and an anti-fatigue conical midsole. These features work together to cradle and cushion your feet. For safety, this Endurance 47591 footwear keep your arches guarded with a fiberglass shank. The flexible Steel-Flex puncture-resistant plate on the bottom of these men's boots deliver even more safety on hazardous terrain. 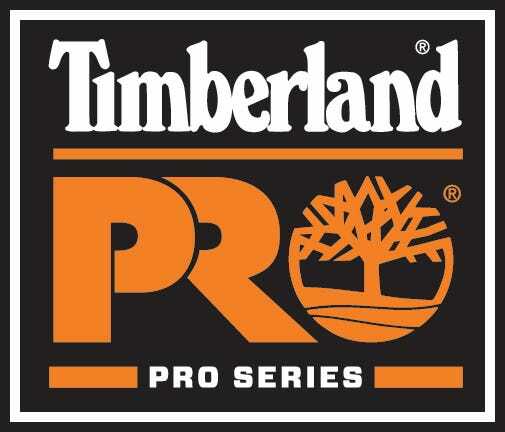 The Timberland PRO Rubber Outsoles are abrasion-, slip-, and oil-resistant. The soles on these brown boots are also heat resistant. They are equipped with Electrical Hazard Protection. The outsole also features Ladder Lock outsole radius, which keeps you safe and comfortable on extension ladders. The steel safety toe was shaped on TiTAN last for protection and superior fit. These EH boots also meet the CSA Grade 1 requirement and the Canadian Safety Association CAN/CSA-Z195-02 safety standards. The finger grip pull-on feature lets you get your feet into all these great features even more quickly. You can truly experience complete satisfaction with a pair of Timberland PRO Endurance PR 47591 Waterproof 6-Inch Steel Toe Boots. Put a pair in your cart today and get all-around waterproof protection, comfort, and safety. Order your pair online from the Working Person's Store today. Your feet will thank you! To be honest I wasn't to sure about these boots but I say that they had the abrasion resistant rubber double toe so I thought I would try them. I am on my feet 12 hours a day and really needed a good tough pair of boots that would withstand water and protect my feet. And I really think this is the best buy I have made. I also got them for a pretty reasonable price. These Timberland Pro Endurance boots that I bought for my husband are the best thing I have ever got him. He used to complain about his feet every night after work. Now he says they don't hurt at all. I have been through several pairs of boots over the years and could never find the right one that met all of my needs. Until I tried the Timberland Pro 47591.These are just what I was looking for. I work in a mill and am moving around a lot and on my feet all day. I will definitely be purchasing these again. I wanted to wait a little while to get some wear time before reviewing these boots. I have had them 1 month now, and must say they are everything as advertised. I work 12 hour shifts in a coal fired power plant (28 yrs), so I need something that is comfortable enough to walk in all day. These boots fit like a glove. No break in was needed. Lighter than most, and very well made. And yes, they are waterproof, which is really the reason I decided to try them. I have tried just about every boot out there, and these are in my top 3. I would recommend them, and will be buying them again. I love these boots. All day comfort, waterproof, fairly light weight and protective. What's not to like ? I was very impressed with The Working Person's Store. Looking up what I wanted was easy and purchasing was just as easy. Prices were very competitive. The product came in when promised and included everything I ordered. The packaging sufficiently protected my order. I have and will continue to recommend working person as a place to shop. I am satisfied and would rate my experience a 10 out of 10. Timberland PRO Boots: Men's Endurance PR Brown 47591 EH Steel Toe Work Boots is being added to your cart.